I never cleaned out the treat cupboard. One thing led to another and I just didn’t get around to it. It’s a definite must for the week. We did take care of a necessary evil yesterday, though! 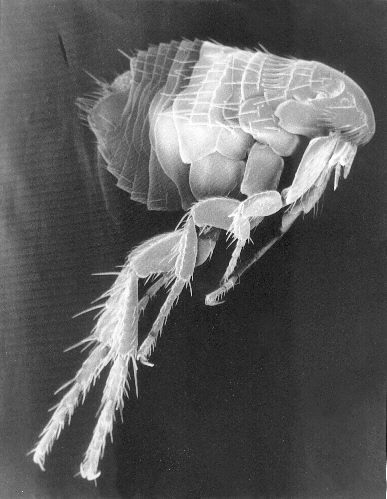 I call flea and lice treatments a necessary evil because I love to have them. They’re insanely expensive but also insanely important. Oh, yeah. That’s a flea. Do you want a bunch of these living on your dog’s skin and feasting on his or her blood? A four-month supply of Advantage (that’s what we use, but there are a number of other brands out there) is around $45. Have you ever had a dog or, for that matter, a house that has been infested with fleas? If you have, you know that $11 a month to keep those little suckers (literally) away is well worth it. Fleas can cause a multitude of skin problems and tapeworms if your dog gets them. Teton gets a bath once a month with Paul Mitchell Pet shampoo. 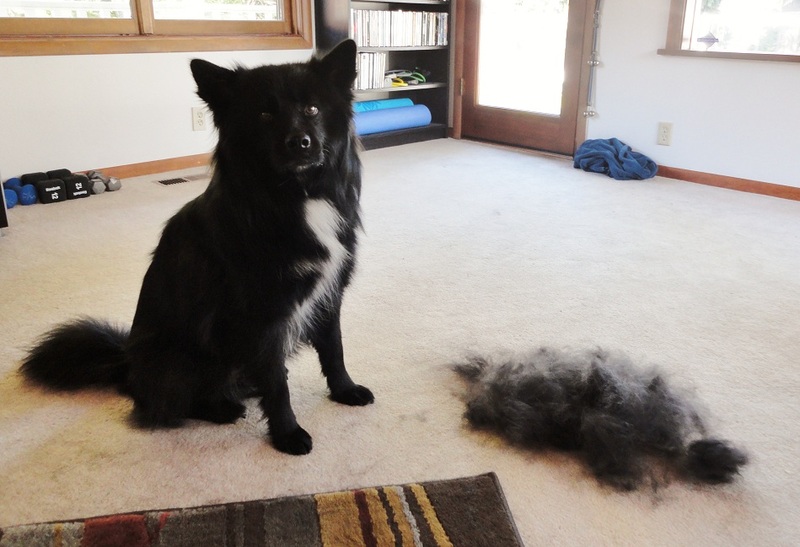 After his bath, I let his hair dry for anywhere from 3 – 4 hours and then he get brushed! 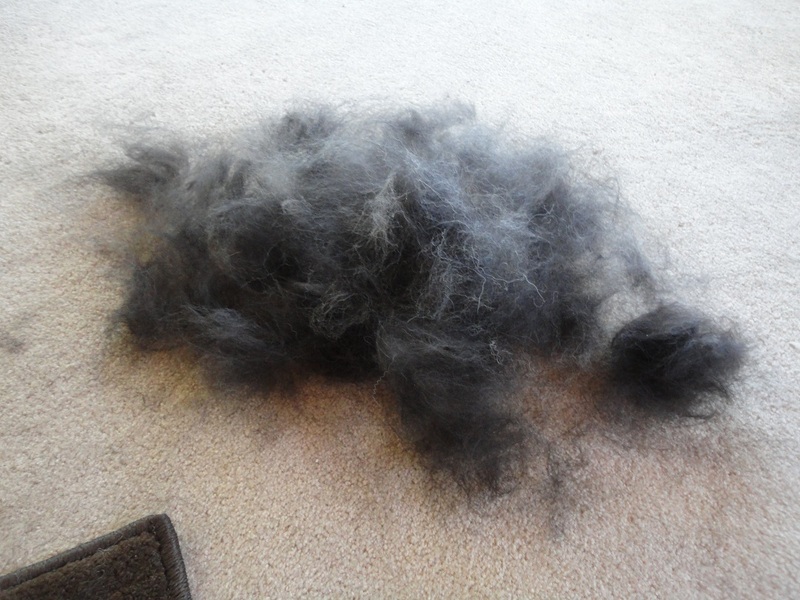 We use an imitation Furminator that we got at the local fair last year for $30. Slightly different design – same general idea. It really is amazing how much hair just seems to fall right off of The Little Blogger. And gross. Here is a photo of TLB sitting with our second dog, Sasquatch. After his brushing, Teton gets to spend the rest of the day rubbing his stank all over the furniture and letting his hair completely dry. The next day, I apply his flea meds. And then, for one month, we are protected against fleas! 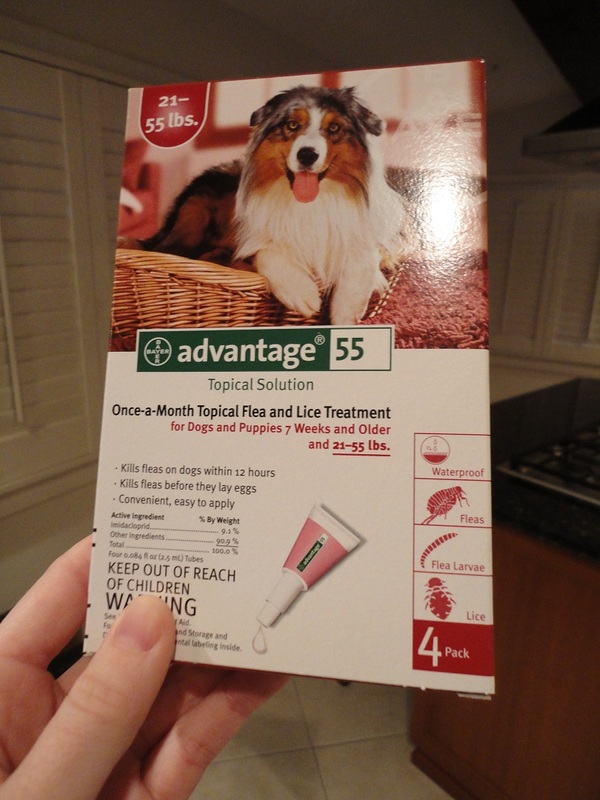 If you don’t already use a flea and lice treatment for your pooch, please consider starting a regular regimen. It’ll likely keep your dog (and you!) much healthier. Posted on March 22, 2011 May 14, 2011 by Shannon	This entry was posted in Medicine Cabinet. Bookmark the permalink.